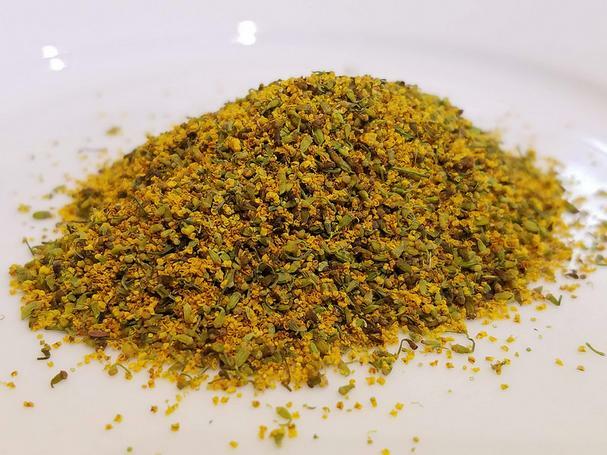 Why pay $20 or more for a tiny tin of fennel pollen when you can forage it to your heart's content - for free! 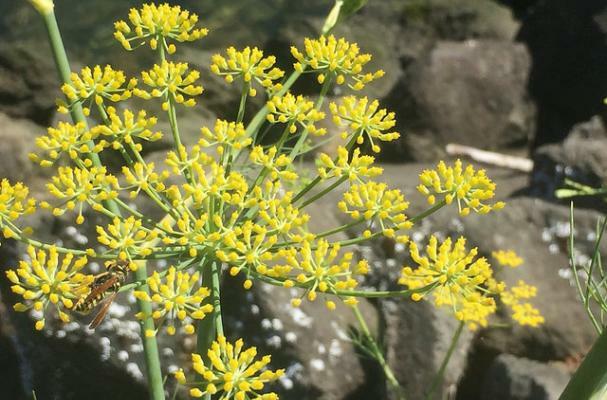 The fennel plant, a sweet anise-flavored perennial that's part of the carrot family, is indigenous to the Mediterranean and was brought by Italian immigrants to North America where it now grows wild. We've all seen it but, like many wild edibles, you've probably just overlooked it as another roadside weed. Stop, take a look and a sniff, then start snipping because this golden flower is worth its weight in culinary gold! The potent pollen tastes like honey-kissed licorice and elevates the flavor of food. To harvest the pollen, simply snip off the yellow flowers, spread them out on a cookie sheet, and let them air dry for a day or two. Then, sift them through a fine mesh strainer to remove any stems or "husks," and there you have your glorious fennel pollen. First the bulbs: these are commonly found in most grocery stores and often with their frilly green (and edible) fronds attached. The bulb is delicious both cooked and raw; try roasting or grilling it or thinly slice it and toss into salads along with the tasty fronds. Now the pollen: a little of it goes a long way, so be sparing then add more if necessary! 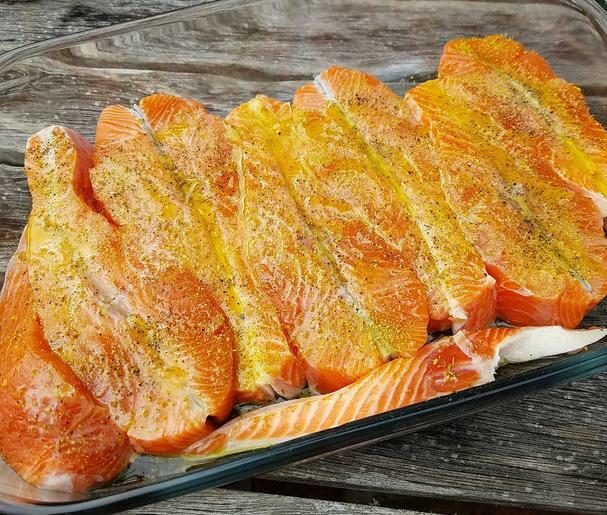 Sprinkle a few pinches over sliced heirloom tomatoes along with some finishing salt (try a large flaked Himalayan or Maldon sea salt), give roasted meats or veggies a little dusting of it, lightly season salmon fillets (shown below) with it, or stir it into soups or stews when you need that little extra something. The options are virtually endless and sublimely delicious!